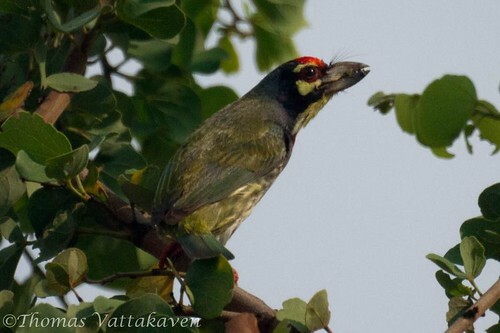 The Coppersmith Barbet is also known as the Crimson-breasted Barbet or Coppersmith (Megalaima haemacephala). 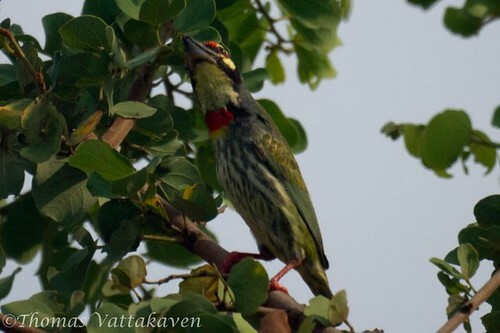 It is distinctive in the crimson coloured forehead and breast patch along with a yellowish eye ring. The bird gets its name from the call, which resembles a coppersmith striking metal with a hammer. 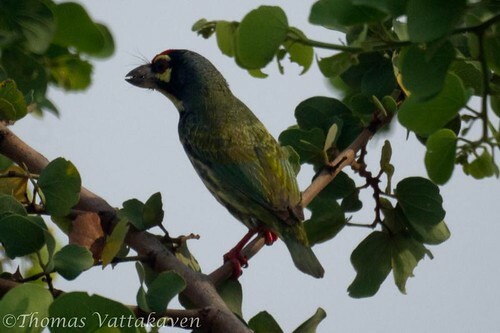 They are fruit eating birds, and are found solitary, in pairs or in groups, usually on fruit trees or sunning themselves on the branches of tall trees. 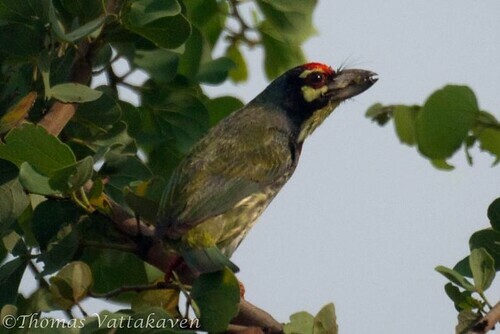 They are cavity nesting birds and compete with other cavity nesting species. The breeding season is from February to April, but they breed most throughout the year. 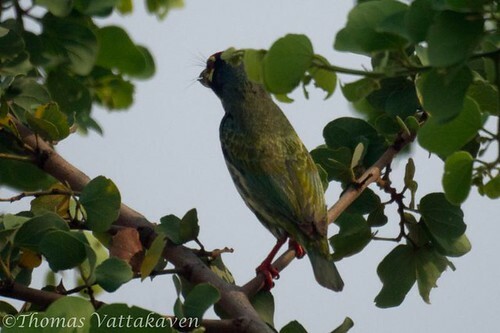 They are known to excavate nests in tree cavities. Three to 4 eggs are laid. Other Details: A lone bird flew into a tree and sat there quite a while. It seemed to be feeding and something is present in its beak.